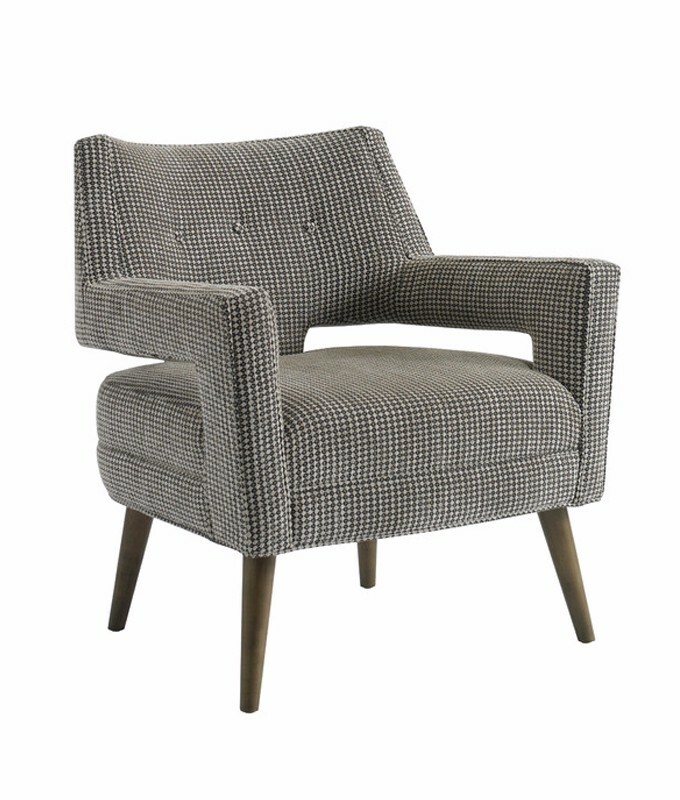 This handsome chair demonstrates true classic style and thoughtful details. A take on the traditional tub chair, modernized with tailored cut-outs and respectable button tufting. The masculine silhouette calls for menswear inspired micro tweeds, refined prints and textured fabrics.